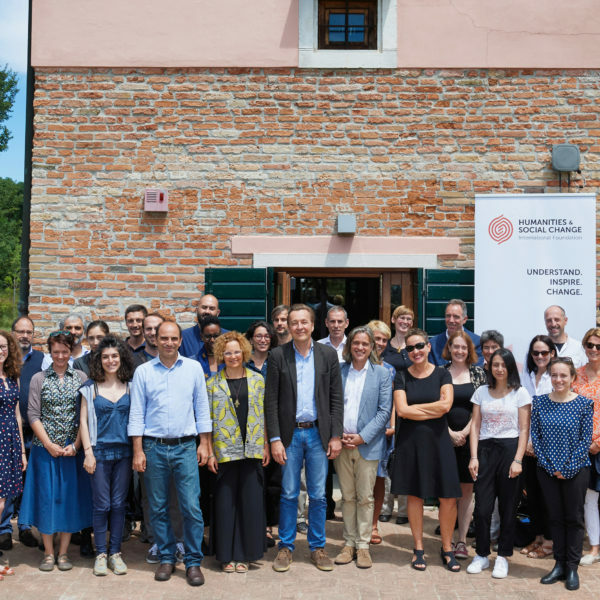 A first joined event of the four Centers for Humanities and Social Change took place in Venice from 25 to 29 June 2018, co-organised by the Venice and Santa-Barbara HSC Centers. 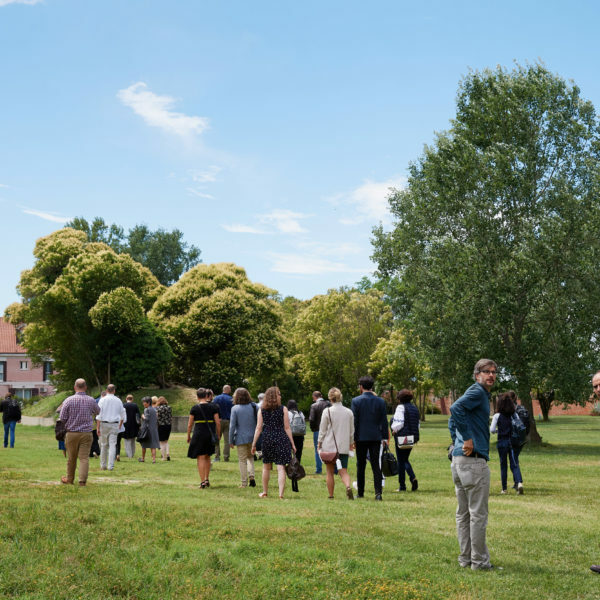 In addition to scholars from these Centers, the Summer Institute was attended also by the representatives of the other two Centers based in Berlin and Cambridge, as well as of the Foundation, and by distinguished invited academics and journalists. In the 5-day long series of seminars, discussions and accompanying cultural events, the members of respective Centers got the chance to closely familiarise themselves with each other’s academic work, to learn about distinct activities pursued by the Centers, and to establish firmer connections among them and with the Foundation. The thematic focus of the event concerned the status of academy and media in today’s “post-truth” world, in which the value of both truth and facts seems to be disintegrating. 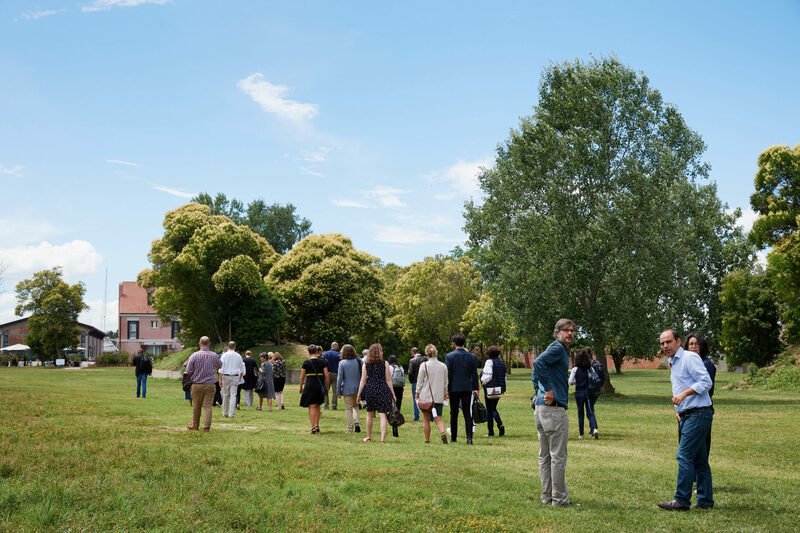 The fellows from Santa Barbara approached this topic through close readings of an influential lecture, delivered 100 years ago by the German sociologist Max Weber, on the role of academy and science. In this lecture, Weber deliberated the value of scientific activities in the lieu of competing worldviews, diverse sets of cultural and religious beliefs and opposing political convictions. 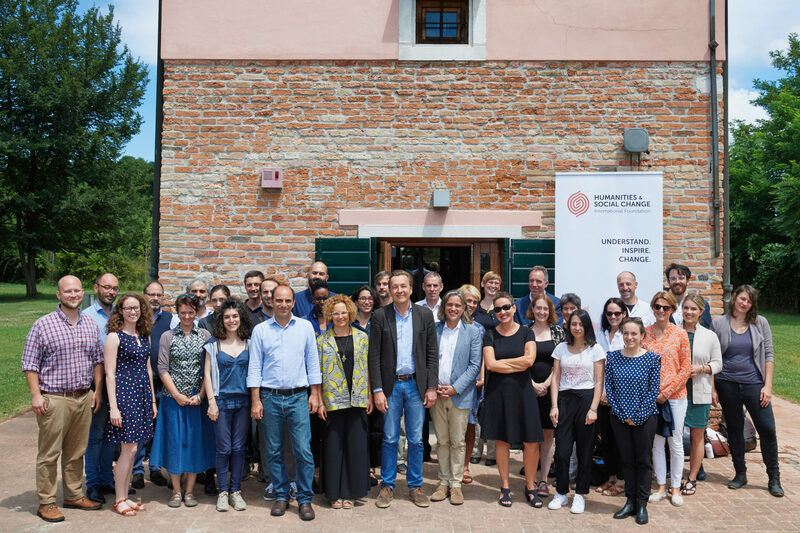 This pluralism in turn presented the backbone of much research pursued by the Venice scholars, as for example the work done by Luigi D’Amelia, a post-doctoral fellow at the Venice Center, on the topic of religious prejudice in the Middle Ages. 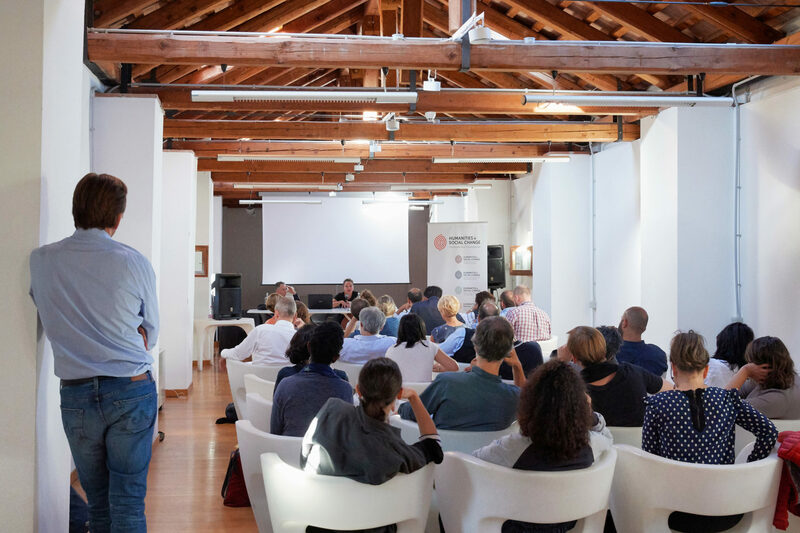 The Venice scholars, however, approached the event’s theme also through other than primarily historical methodologies, including theoretical and field-work based. Another post-doctoral fellow from Venice, Marco Marrone, presented his research on new forms of worker exploitation and corresponding unionising and organising practices that are emerging in the growing business of outsourced food delivery. The afternoons were assigned to talks given by the external scholars. Ananya Vajpeyi from the Centre for the Study of Developing Societies in Delhi informed the participants about the current critical situation of the Indian public university system, over which the ruling Hindu nationalism is gaining increasing influence. 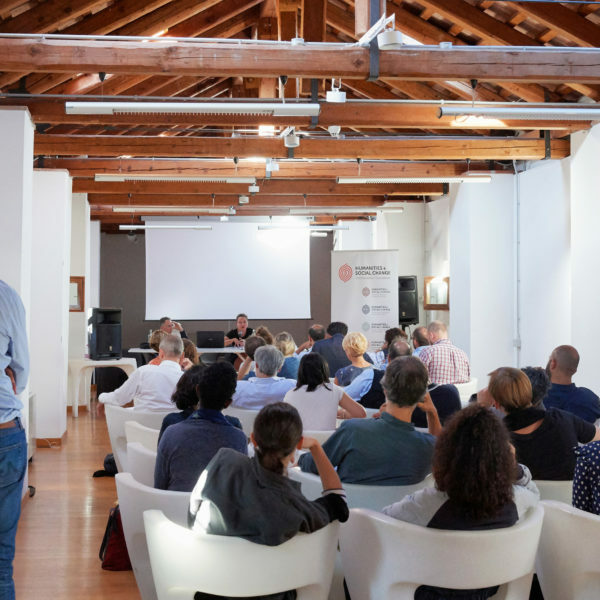 Two other guest speakers, Stephen Russ-Mohl from the University in Lugano and Venice-based data scientist Walter Quattrociocchi, contributed to the Summer Institute’s theme through their examinations of the institutions of media and journalism. The two conjointly stressed the causal link between, on the one hand, the decline of traditional journalism, and on the other hand, the spread of disinformation, false facts and fake news. Quattrociocchi further argued that contrary to the common conviction, debunking is not an effective strategy to combat such wrong information, while Russ-Mohl called for increasing public visibility of scientists as one possible remedy of this trend. Caroline Levine, a literary scholar from Cornell University, held one of the final lectures, engaging specifically with the value of humanities in today’s academic research. Tackling one of the key question that lie at the core of Humanities and Social Change Foundation’s mission, namely the relation between humanities and social change, Levine introduced her own idea of how humanistic scholarship could not only study but also affirm social worlds that are more desirable than our own. The event was concluded by Georg Diez, a journalist for the Spiegel, whose new book Das andere Land: Wie unsere Demokratie beschädigt wurde und was wir tun können, um sie zu reparieren, was just published by Random House publishing house.